Mammologist Elena Bykova is Executive Secretary of the Saiga Conservation Alliance (SCA), an international NGO established in 2006 to promote the restoration of the critically endangered saiga antelope, the flagship species of the Eurasian steppe. Highly specialised, with a unique fleshy nose adapted to the dusty environment, the saiga helps maintain the steppe ecosystem on which it depends. Its conservation is crucial to many other species that share this vast habitat. Leading efforts in Uzbekistan since 2004, Elena is working to protect the saiga population of the Ustyurt plateau, one of just five remaining worldwide, and the one most threatened with extinction. Once abundant throughout Eurasia, following the fall of the Soviet Union saiga quickly became one of the world’s fastest declining species. As local people were thrust into poverty, so too were the systems for hunting control and wildlife trade lost. 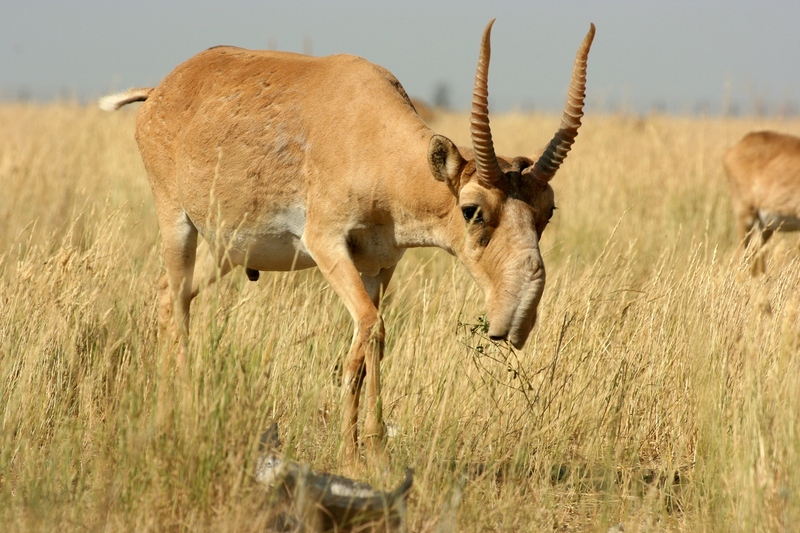 Historically used on a small scale for meat, since the late 1990s unsustainable hunting for horns for traditional Chinese medicine has led to the total saiga population crashing by 95% in just ten years. As few as 50,000 now remain. Over the past six years, Elena and her colleagues have worked with local communities, building relationships with schools, women’s groups, officials and ex-hunters, to promote saiga conservation across the region. 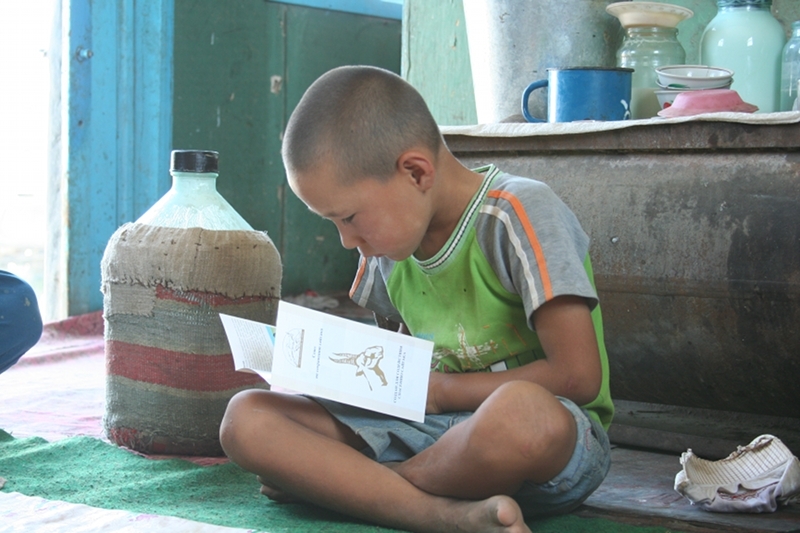 Participatory monitoring by “Saiga Friends” is core to the work. As the Ustyurt saiga population is transboundary, spending the summer in Kazakhstan before migrating to Uzbekistan for the winter, the local knowledge of ex-hunters – now armed with GPS recorders instead of guns – is vital in identifying important saiga areas and helping to guide effective management. Elena also carries out in-depth evaluation of her previous work, analysing its impact on Knowledge, attitudes and behaviour across the community. “For example, I want to test the theory that women are a powerful voice in the household, and if they see the benefits of saigas as part of their culture, they will tell their sons and husbands not to poach and they themselves will not buy saiga meat”. In doing so Elena hopes to show that public engagement really does lead to reductions in saiga poaching and so provide a proven guide to future work to save the saiga.